For those who are not a part of the world of marijuana, or who are not familiar with some of the commonly used terminologies, then the terms spliff and blunt might not seem so different or may just completely feel like gibberish. For cannabis purists, they would never set hands on a spliff, while blunts would be considered a bit more acceptable. Both spliffs and blunts are equally as enjoyed by those who are regular consumers of weed, but geographically, spliffs and blunts seem to be located in their own global regions of consumption with some crossing over in between (the world is diverse, after all!). 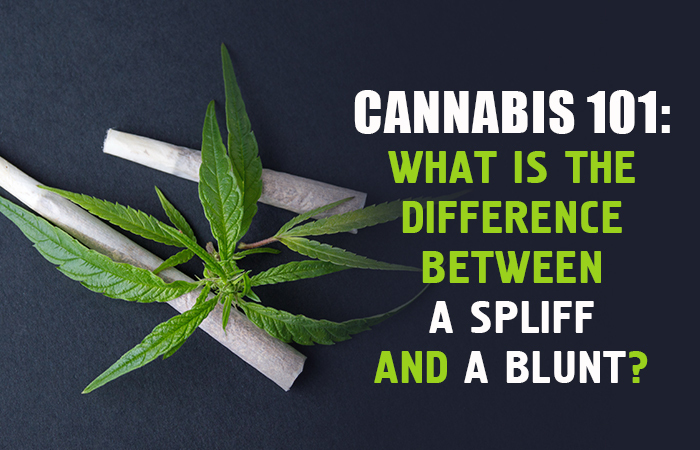 This article is here to serve as a clarification regarding the differences between spliffs and blunts, especially for those who simply have not been exposed to much of the marijuana lingo used in the 21st century. If you’re familiar with the appearance of a cigar, then you certainly know what a blunt looks like. Blunts are essentially just ground up cannabis buds wrapped in thick tobacco paper, the same kind that is used for rolling up a cigar. It is common practice for blunt smokers to buy cheap cigars from the gas station, such as White Owls, Backwoods or Swisher Sweets, and then empty out the low quality tobacco from within them, only keeping the wrapper. They then take their ground weed, fill the outer shell of the cigar up, rewrap it, give it a twist and light that baby up. Certain brands of cheap cigars have actually become so common for making blunts out of, that if you are seen purchasing them at the store, the cashier normally knows what the intended use is going to be. Joints Vs. Blunts: What&apos;s Better?